Fred Merwarth reminds us that winemaking is both a reverent glimpse into our past – our heritage and craft – and an unshakeable pursuit of experimentation and progress. Before him, this ethos guided his mentor, Hermann J. Wiemer, in the establishment of the eponymous iconic Finger Lakes winery. In the 1960s, Hermann arrived in the Finger Lakes of Central New York carrying a family legacy that spoke to both wine’s past and critical future. His mother’s family made wine in the Mosel for more than 300 years, while his father was a crucial participant in the restoration of vines after WWII. Leading the Agricultural Experiment Station in Bernkastel, Hermann’s father championed the implementation of American rootstock in vinifera vineyards. After education, research, and mentorship in the Pfalz, Hermann sought out new terroir with which to engage in a life of Riesling – and he found it on the western shores of Seneca Lake, here in New York. The gravelly soils were reminiscent of his family’s vineyards in the Mosel, and Seneca – the deepest of the Finger Lakes – provided weather moderation that promised ripeness. 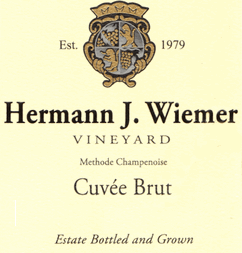 Additionally, Hermann’s early experience with grafting would inform the development of Wiemer Vineyard’s nursey, now a leading institution in the research and cultivation of grafted vinifera. Some thirty years later, Fred arrived. Educated to continue his own family’s legacy in dairy farming, Fred found himself on an entirely new trajectory after a visit to Emile Beyer in Alsace. After graduation from Cornell, Fred turned up – without experience – at Wiemer Vineyard, and now, 16 years later, he hasn’t left. In this time, guided by the ever-pioneering Hermann, Fred has learned to navigate the intricacies of three distinct estate vineyards, and how to coax their voices into expression in the cellar. He is now owner and winemaker of this premier Finger Lakes winery – an icon in the history and future of American wine. Specially selected Chardonnay and Pinot Noir grapes blend beautifully together to create the base wine for the Cuvée Brut. Crisp and clean with an initial impression of red fruits, which shifts to ripe citrus and honeysuckle on the finish. 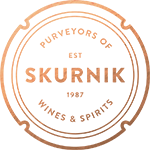 It is a 50/50 blend of Chardonnay and Pinot Noir from the HJW and Magdalena Vineyards. This sparkling wine is made méthode champenoise. 600 cases produced. 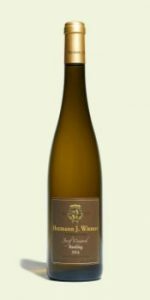 The signature Riesling from Wiemer is a vibrant, aromatic wine, featuring a distinctive mineral quality that has become the winery’s trademark. Exceptional grapes are chosen from each of the three vineyard locations, 65% HJW Vineyard, 23% Josef Vineyard, and 12% Magdalena Vineyard, and then fermented in small lots and blended to ensure texture and balance. 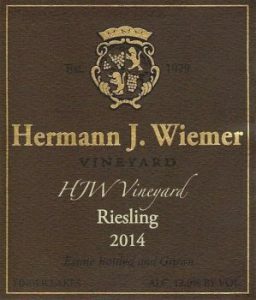 This wine is crafted to serve as an emblem of the standard of quality that has become tradition at Hermann J. Wiemer Vineyard. The wine is harvested at a Spätlese level of ripeness and then whole cluster pressed, cold fermented for 3+ months until dry, unfined and unfiltered, and finishes with a 0.9% RS and 12% ABV. Planted in 1976, the HJW Vineyard features Hermann’s original plantings on Seneca Lake. Mature vines combined with the site’s shallow topsoil and shale bedrock produce lower yields resulting in expressively vibrant flavors. Higher elevation and a greater distance from Seneca Lake contribute to a cooler growing season, resulting in a leaner, more austere wine with intense flavor and an excellent aging potential. This wine finishes with a 0.8% RS and 12.3% ABV. Only 185 cases produced. The Josef Vineyard is home to the longest established Riesling plantings on the Wiemer estate. These mature vines produce wines of intense flavor through lower yields and longer hang times. Josef’s ideal slope, deep soils, and a warming lake effect add further to the site’s potential ripeness. Increased sugar densities from this rich site enable the winery to craft Rieslings in the traditional Auslese style.